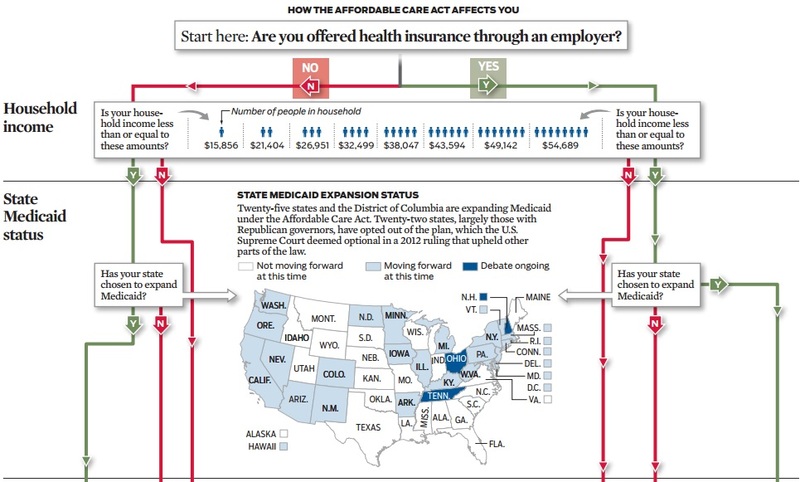 Infographic - How Does the Affordable Care Act Affect Your Employees? 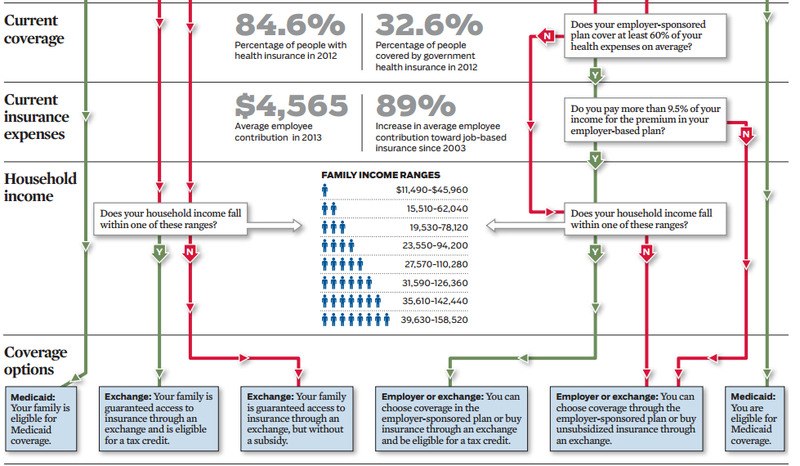 The average employee contribution to job-based health insurance in 2013 is $4,565. This is an 89% increase in employee contribution since 2003. 85% of Americans had health insurance in 2012. Of these, 33% were covered by government insurance in 2012. The states with the highest populations of uninsured residents (18% or higher) are Idaho, Montana, Wyoming, Nevada, California, Arizona, New Mexico, Texas, Arkansas, Louisiana, Mississippi, Georgia, South Carolina, and Florida. 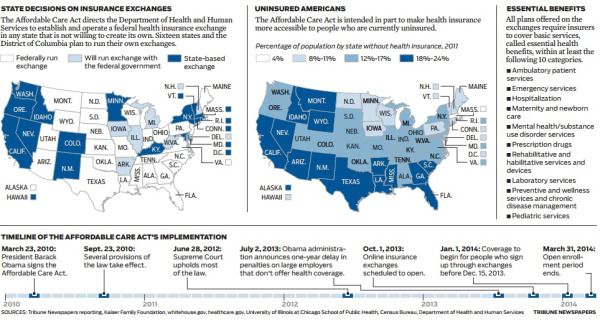 The state with the lowest population of uninsured residents is Massachusetts. Source: Chicago Tribune (Click for PDF).